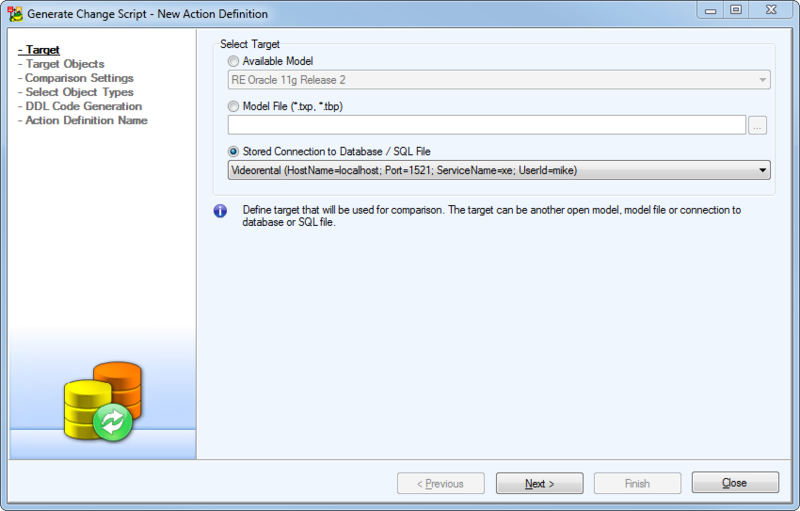 Toad Data Modeler contains many powerful synchronization features, incl. model comparison, model merge and generation of change scripts. just for the object. 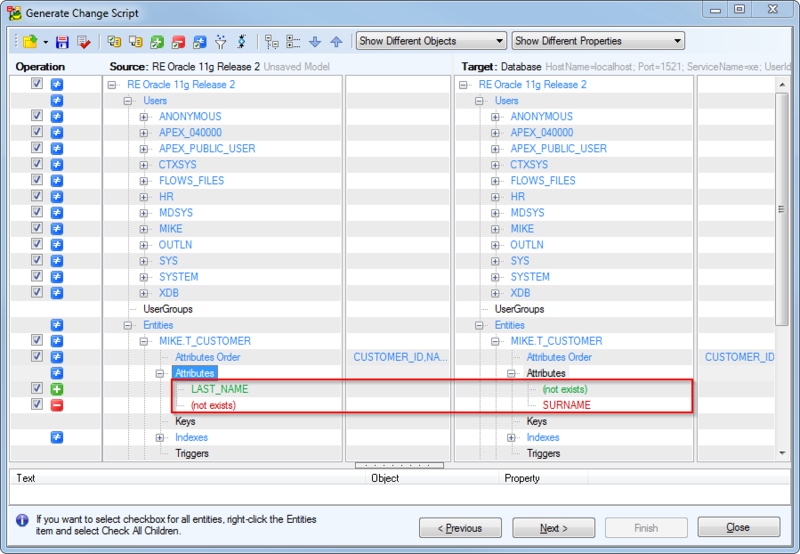 The key benefit of the single-object comparison is the possibility to map renamed tables or columns. 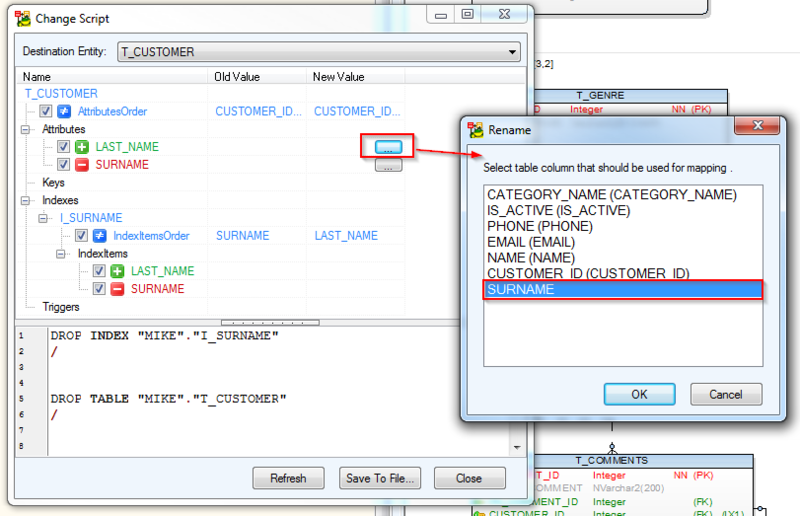 Let's say I reverse engineered Oracle Database structure and renamed column SURNAME to LAST_NAME in table T_CUSTOMER. 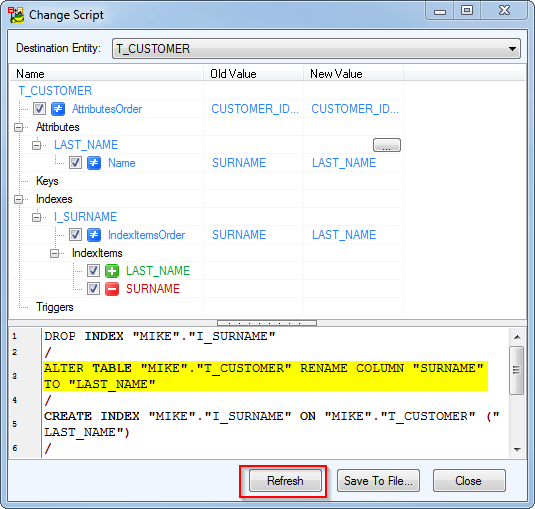 Now I want to generate the ALTER TABLE <TABLENAME> RENAME COLUMN statement for the change. but there is even better feature for such simple scenarios. 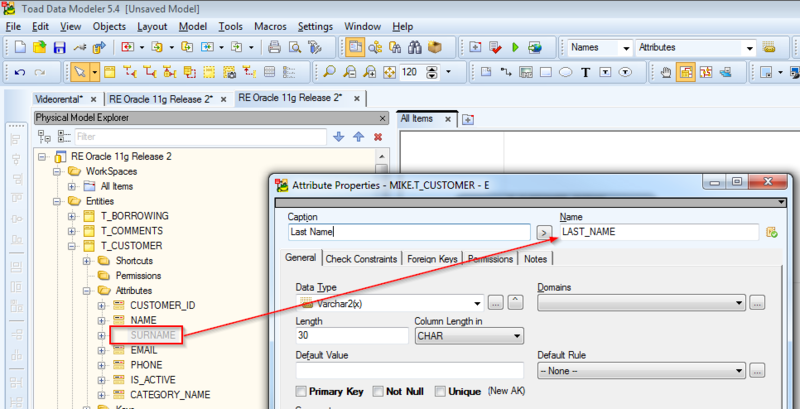 Let me explain what's necessary to do to map renamed columns. 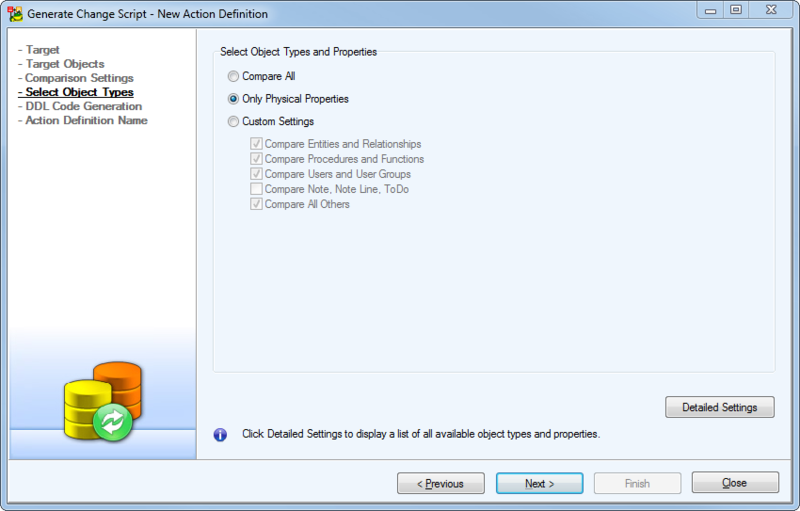 either select just the objects you modified, or click the first icon on toolbar to select all tables, view and other objects. 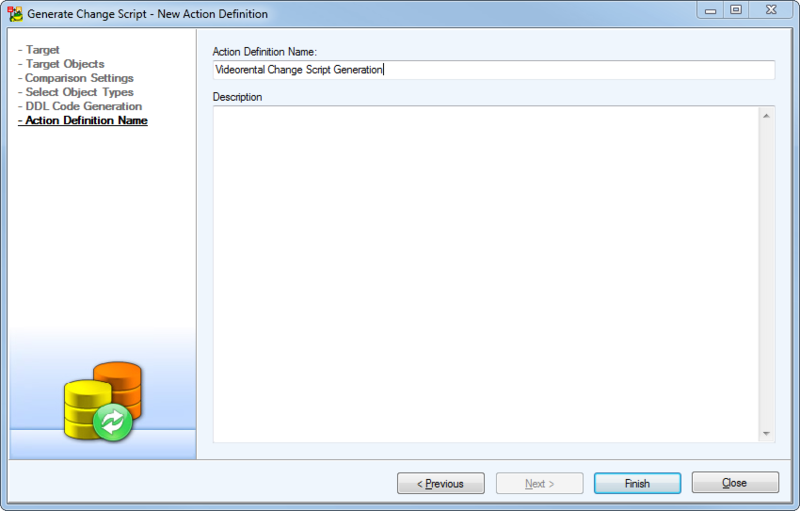 And save the configuration as new Action Definition. 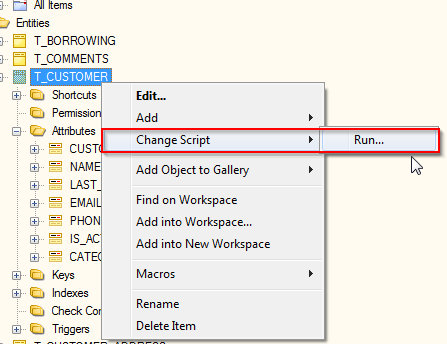 Change Script window opens. 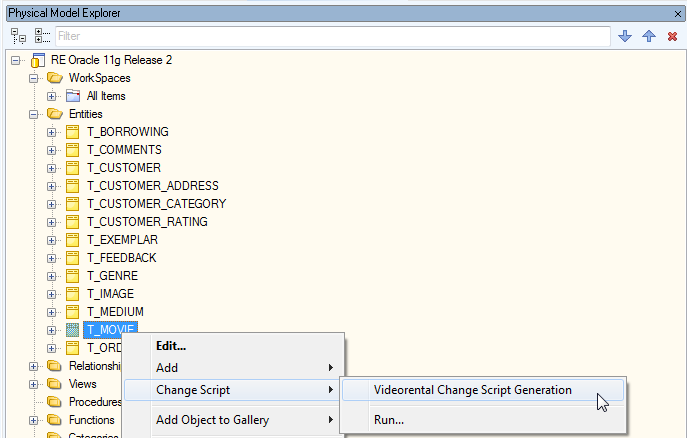 To map renamed objects, click button with three dots and select existing column from the list. 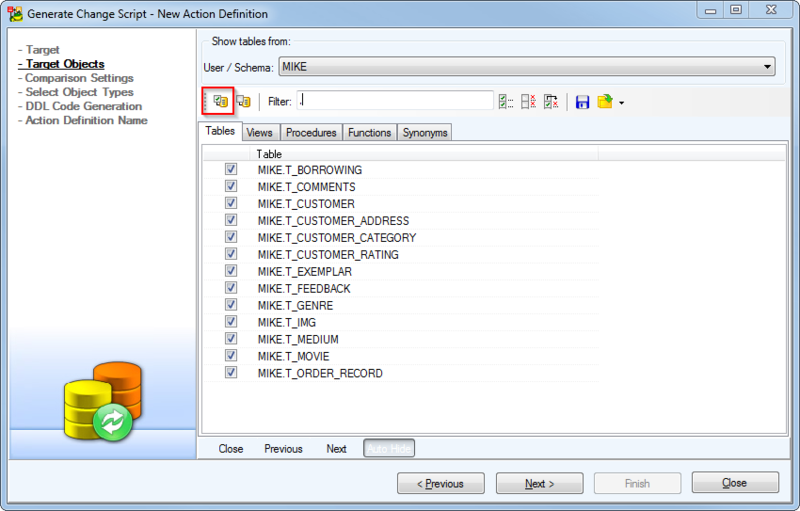 Then click Refresh and see the generated ALTER TABLE <TABLENAME> RENAME COLUMN statement. and the configuration wizard will be skipped completely.